Do you have any questions regarding this product? Please feel free to call us on 520-392-9486 or click HERE to contact us so we can assist you further. Proper room diffusion is not an option, it is a necessity! Poor diffusion is a room distortion that is present in all rooms both small and large. In fact, it is one of four main acoustical distortions found in your room right now. Diffusion technology is a must in all listening, home theater, and professional recording studios. Now, you have the ability to build your own diffusion technologies. 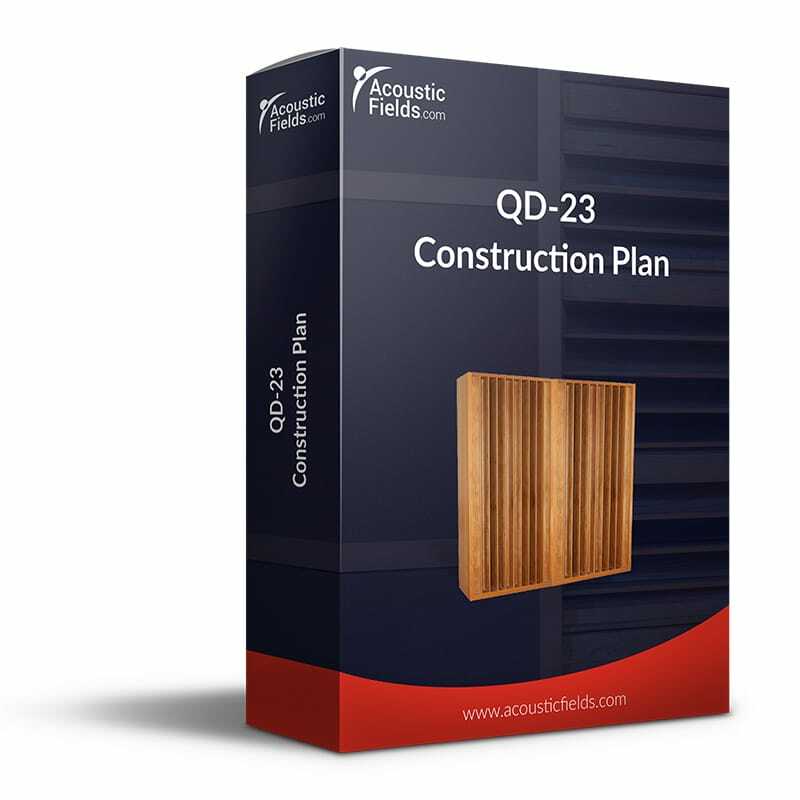 Not just any type of diffusion, but quadratic diffusion which is the most time tested and proven method of diffusion used by professional recording studio builders for years the world over. 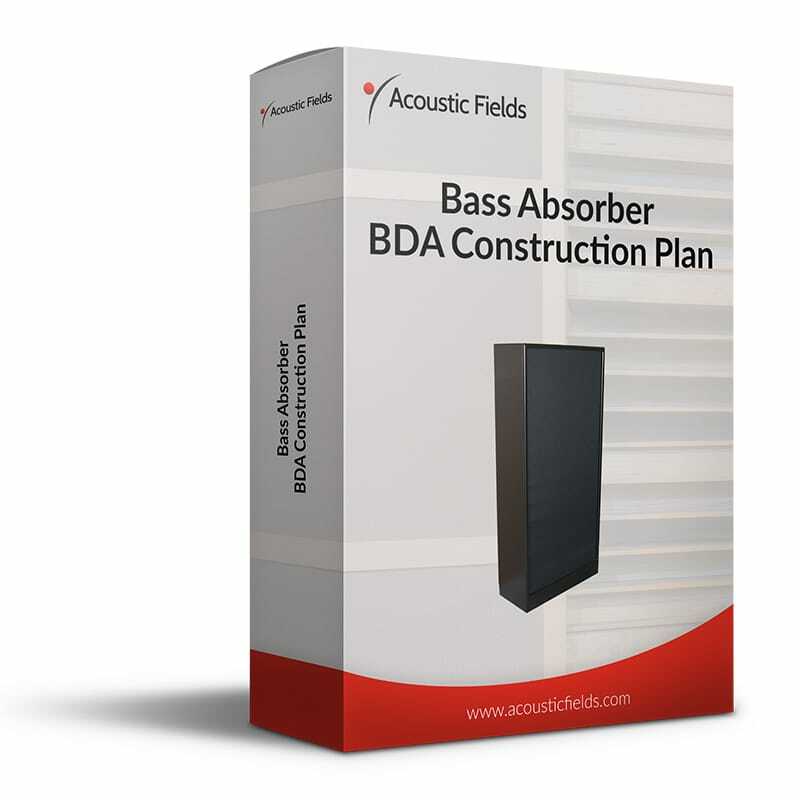 With the DIY Bass Absorber – BDA Broadband Diaphragmatic Absorber plansyou can actually build enough low frequency absorption units to tame your room modes without breaking the bank. These plans are lab tested to work at high rates and levels of absorption. The BDA is a powerful, low frequency, absorber that absorbs energy from 40 Hz. – 400 Hz. In fact you get 75% of the performance of our production units, which cost over $1,000 each. 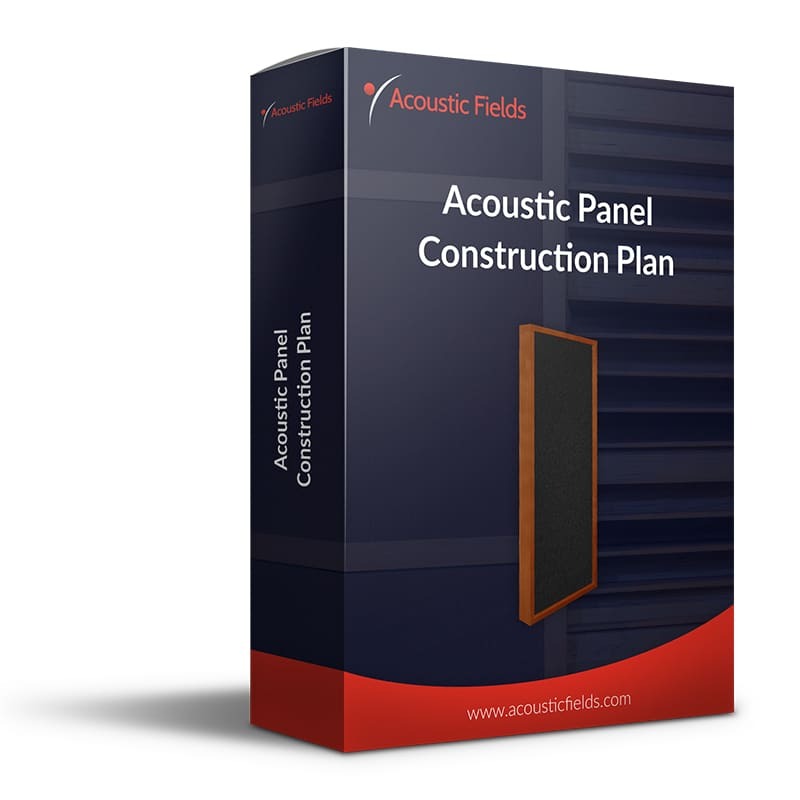 With our DIY Acoustic Panels you will have a functioning piece of acoustical furniture for your home theater, personal listening room, or professional recording studio. You will have a foam cabinet that will house your sound absorbing needs but will also add to the overall well balanced look of your studio or listening room. 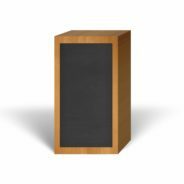 You will be able to create a piece of furniture that has a real wood stain to match the wood stain and finish on your speakers. 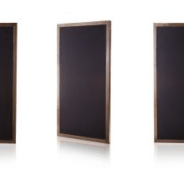 You will enjoy a foam cabinet that has the correct absorption rate and level for your particular rooms needs and not some generic, one size fits all box, which never will. You will get a material and tool list, cut sheet, step by step assembly instructions with actual build photos showing you what each finished step looks like when completed. 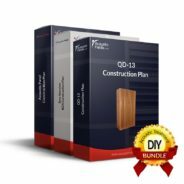 So you will have plenty of instructional information to build your own units which ensures you will never go wrong or waste materials. You will have the ability to contact an engineer who has built hundreds of these units whenever you have a question or comment, so there is no fear of going wrong. This means you will be able to finish your unit very quickly and have it installed in your listening room in a matter of days. You will get to choose the material you want to build your unit out of and finish it in a manner that compliments your listening room or studio, so your diffusers or absorbers will look as good as your room will then sound. You will have the ability to have both vertical and horizontal diffusion in your listening, home theater, or recording studio, so you can hear everything the artist and engineer intended you to hear when they made the recording together. This experience will bring you closer to the artist and give you a far more visceral listening experience than you ever imagined possible. You will get to choose your own foam and fabric color to put in your own unit, so you can coordinate the cabinet color and finish with the rest of your room and studio decor. The following testimonials are about our professional QDA production units and ACDA production units. 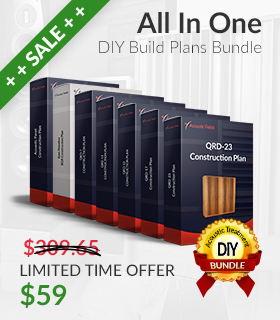 The DIY plans are based on the same technology and perform at similar levels (75%). The carbon absorbers, absorb bass like I have never heard before. We now have definition and attack/decay like we never imagined possible. Don Salter, Owner of Salt Mine Studios. Clients Include Lil Wayne, Jonas Brothers, Justin Bieber, Alicia Keys and many more. The separation of the instruments and the focus of what you were hearing; it’s incredible! I have to tell you in all honesty, I wouldn’t believed it. Don’t live with low frequency pressure issues, bad reverberation or poor diffusion in your room for a minute longer. With this package deal you will have all the tools to manage low, middle and high frequencies and obtain a true diffused sound field in your room. Act now as this price is going up again soon so don’t miss out. 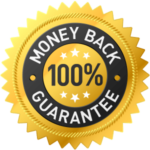 As the exclusive designer and manufacturer of this product and technology you cannot buy these designs in any other store or on any other website. This product is for serious recording studios and Audiophiles only. If you’re serious about wanting sonic perfection, then this is most definitely for you. Don’t live with a compromised listening room and room sound for a minute longer. Take action now, believe me, you’ll thank me for this, for years to come.